Never tried eyelashes before? Not sure which eyelashes suit you the best? Try out our new XXL Lashes Tester Box with the best selling eyelashes in the compact XXL Lashes sample box. 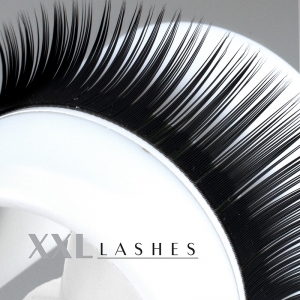 We now have the XXL Lashes Tester Box in our collection which gives you a wide selection of our best selling eyelashes. 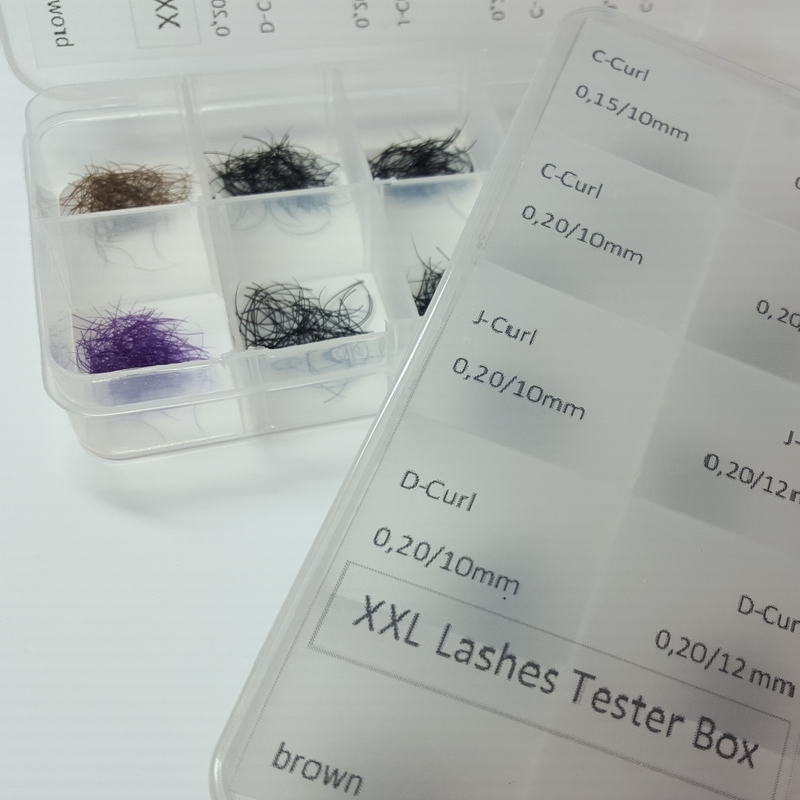 The XXL Lashes Tester Box is compact and is divided in little compartments. It includes a selection of different lashes which give you the chance to try out a variety of looks. Discover which one suits you the best. which are the latest trend. They have a nice C-Curl and a diameter of 0.15 mm. This box provides you with enough material for approximately 10 applications. 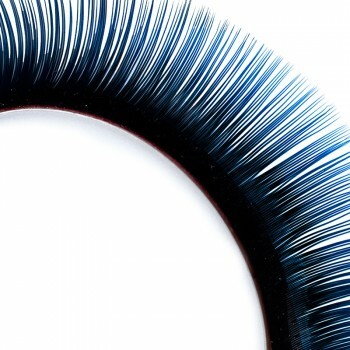 Also the popular Flare Lashes we offer you in an assortment.